The arcade motorbike racer Moto Racer 3 returns! Lock up your moped, and get ready for some high speed racing with the return of the great Moto Racer series. 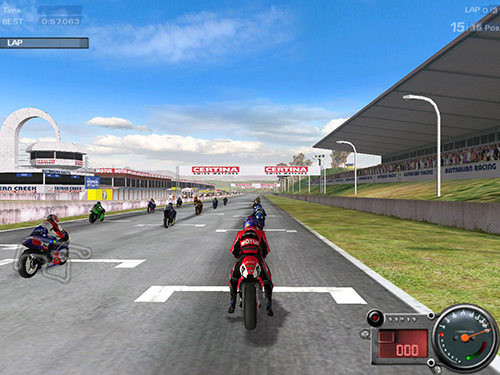 At over 150 mph on international circuits or getting some great air off a dirt jump, you’ve got all the different two wheeled motor sports you can think of to up your adrenaline, all mixed for a unique blend of arcade racing. Previous: Test your Internet Connection Speed with SpeedTest! How to create a Screensaver using your own pictures!